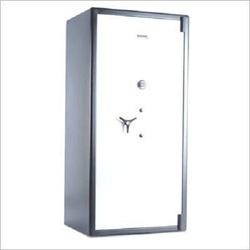 Being a reputed company in the industry, this is our responsibility to offer standard quality Burglar Resistant Safe. Door: Inner & Outer door plates are armored with drill resisting hardened steel plate. Body: Double walled body made of multi-corner bends fully welded construction sandwiching a special fire resistant barrier provides security against sttacks by power tools as well as fire. - Designed to maximise available storage space. - Well-designed locking mechanism for adequate security, ensuring convenient and independent access to each bin. - Manufactured from prime quality, cold-rolled, close-annealed steel. - Machine-formed multiple-bend construction for strength. 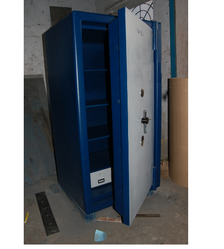 the entire body of the safe is made of thick steel plates with the latest steel bending techniques. Made of multiple bends with fully welded construction, it forms a solid revertless block. For enhanced security, the inner-linnning is made of a thicker steel plate as compared to the outer.